Have you ever wondered why some folks have spiritual experiences and yet others struggle to even maintain their faith? Faith in a loving God is not an easy thing, especially for those who crave to know God is truly with them in their struggles and in the trenches of this life! Why is it that some experience miracles and can hear God’s voice clearly at times, and yet others even more eager to listen to God, hear nothing? Do you feel abandoned by God? 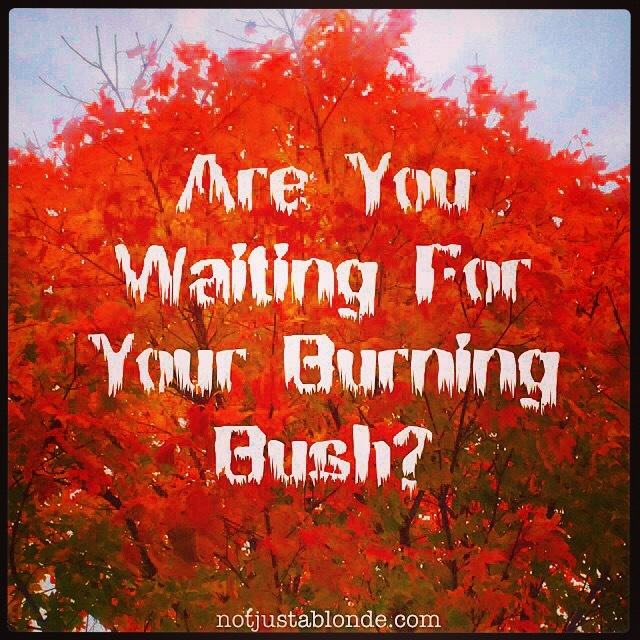 Do you crave to hear God’s voice like Moses did through the burning bush so many years ago? Are you waiting for a miracle to squelch out your doubts and fears that God has forgotten you? Are you hoping to shake the feeling that God doesn’t really care? If so, I understand. I get it. I’ve been there with doubt and indifference. I have screamed towards the Heavens demanding God show me He cares. I have felt lost, alone and abandoned. I have felt resentful and confused. I have prayed for a miracle, without an immediate answer. It is hard to have authentic Faith in something or someone you cannot see or hear even if it is something you hope for with all your heart! Quiet nudges from God can seem to be just wishful thinking. Answers to prayer can seem like a pleasant turn of luck. Divine interceding can seem like a mere coincidence. It can feel like God may not want you to know He has any interest or affect in your life at all. I believe God has a soft spot for doubters. Just like doubting Thomas, I believe God wants each of us to know He is real. God wants us to know He is fully present within the daily struggles of our lives. The frustrating truth is that God doesn’t always speak to us in ways that we can clearly comprehend… and yet, I believe God always will answer us if we but ask to have our ears opened to hear. We must also keep an open mind as God often seems to enjoy connecting with us in ways we least expect! Expecting the unexpected is the best approach while waiting to hear God speak to you. Sometimes God’s voice is a whisper, and other times it’s a slap on the head! Each time we will know he is present and willing to help us out of each situation we might find ourselves entangled in. Very few of us however will be blessed with a burning bush… but it is my prayer that each ear that listens will one day, sooner than later, hear the clear voice of God. wow…. thanks for this! It really spoke to me today!! Amen to that prayer Ann!